Last month, on my journey to Visapur Fort trek, I was very annoyed to see garbage piled up on every nook and corner of the trekking trail. It’s so disgusting to see all this!! When will travelers and tourist start throwing the polybags at designated places only?? Please stop ruining the Mother Nature. Purandar fort, a hill fort near Pune is a perfect example of how clean a place can be kept, the reason of cleanliness is that it is maintained by Indian Army. But seriously, do we always need someone to look after all these tourist places?? Hope things will improve and people in our country will keep the Mother Nature clean. 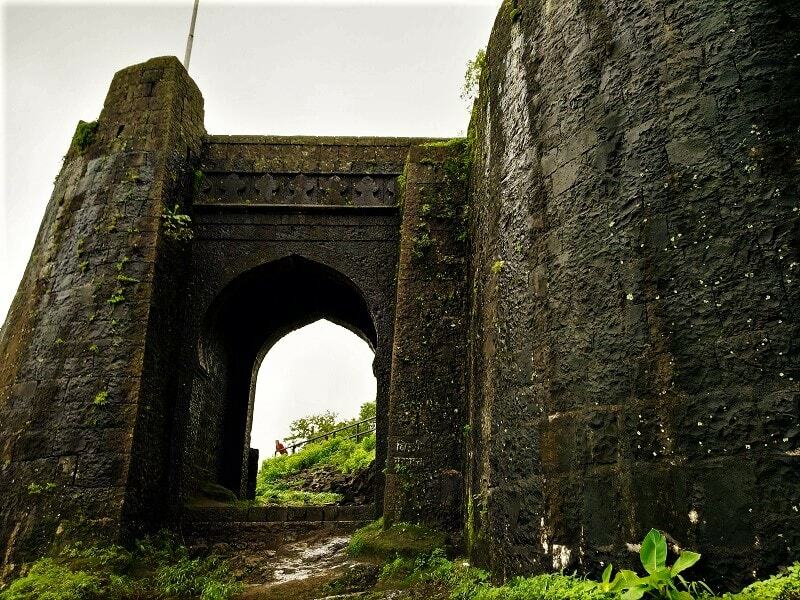 Let’s talk about one of the cleanest forts of Maharashtra, the Purandar Fort. 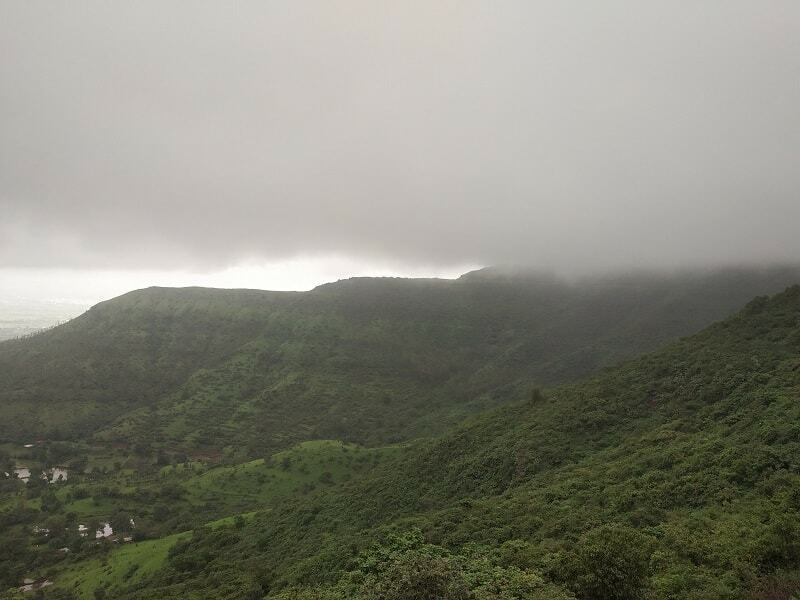 Standing at an altitude of around 4470 feet, Purandar fort lays 50 kms South East of Pune. The fort is a popular tourist destination and is also used by the National Cadet Corps academy for the training purpose. 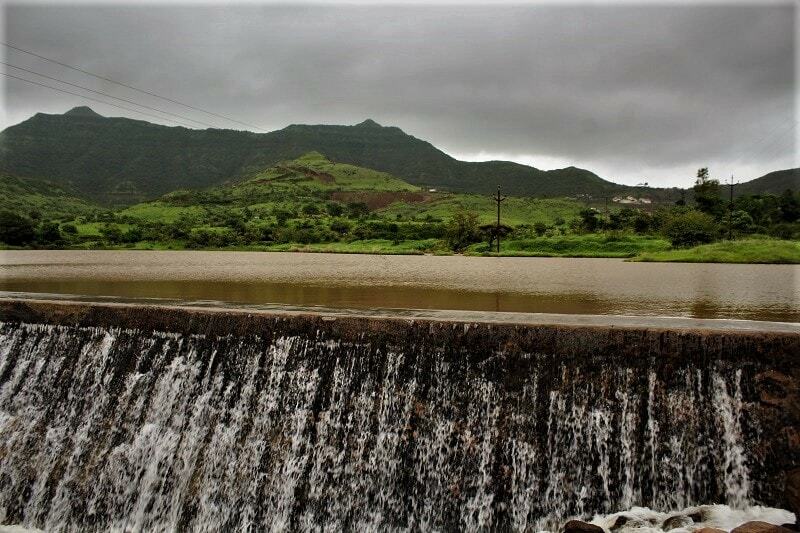 The fort provides a breathtaking view of the nearby Sahyadri mountain range and the view of Torna Fort, Sinhagad Fort and Rajgad Fort from here are just outstanding. On your trip to Purandar Fort, you can also visit the en-route Prati Balaji temple Ketkawle and Khandoba Temple Jejuri. The cheapest and convenient way to reach the fort is via railways. The nearest railhead to Purandar Fort is Pune Railway station (approx. 60 kms) which is well connected to other parts of the country. From Pune, reaching Purandar fort using public transport is a bit challenging as there is no direct transport available to the fort. 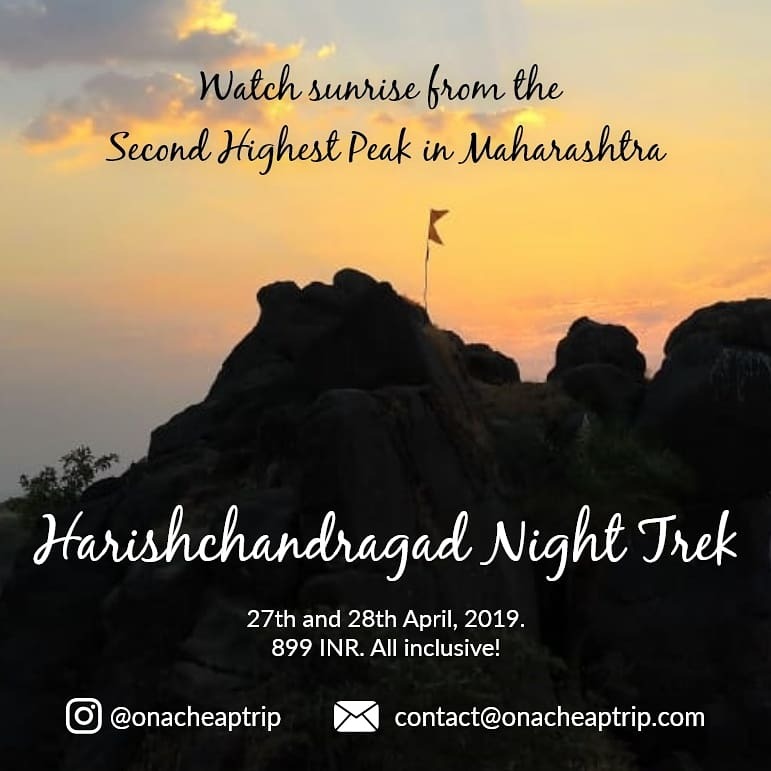 From Pune, you can catch a bus for Kapurhol/Saswad and then another bus for Narayanpur which is the base village of Purandar Fort. But from Narayanpur, you will have to walk all the way up by tar road (6.5 kms – 1 hour) to reach the fort entrance gate. The trekking route to reach fort entrance has been closed so the only option is the tar road. 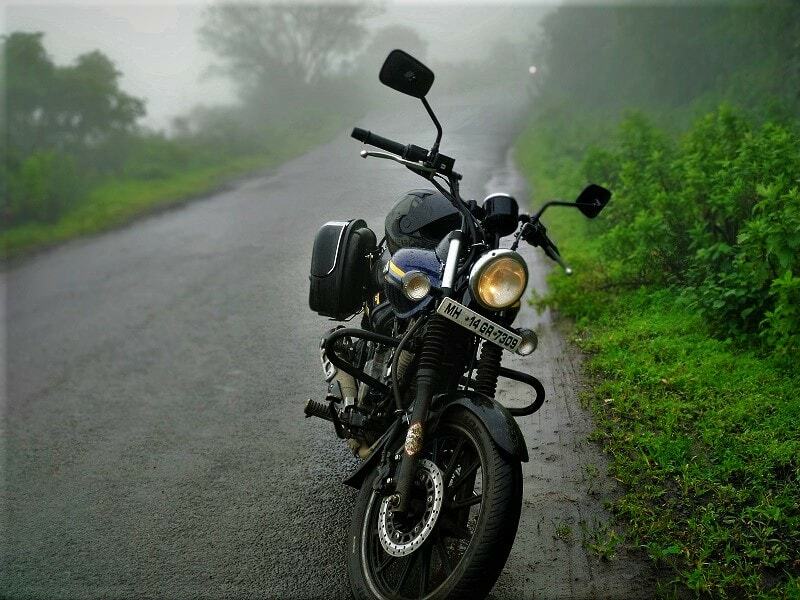 I will suggest you to hire a bike from Pune (INR 300-400) and explore Purandar Fort on a road trip as the landscape view all along the route are simply breathtaking. 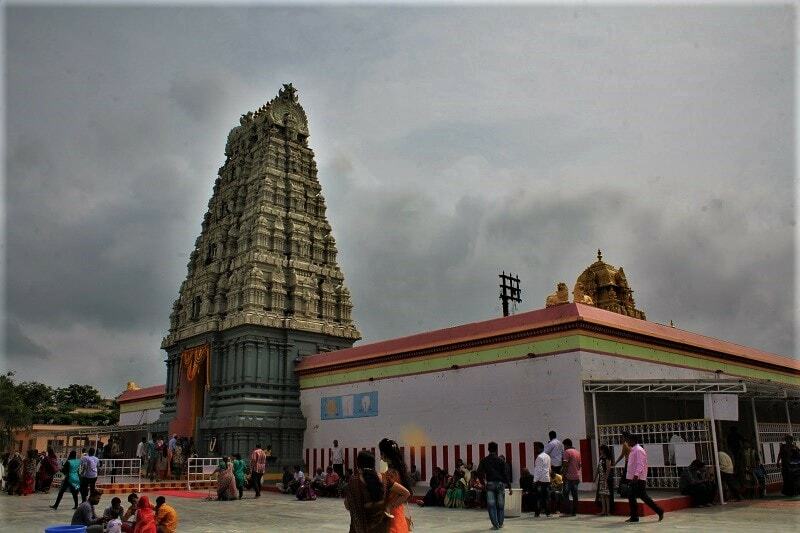 Along with Purandar, you will be able to visit Prati Balaji and Khandoba temple on the same trip. 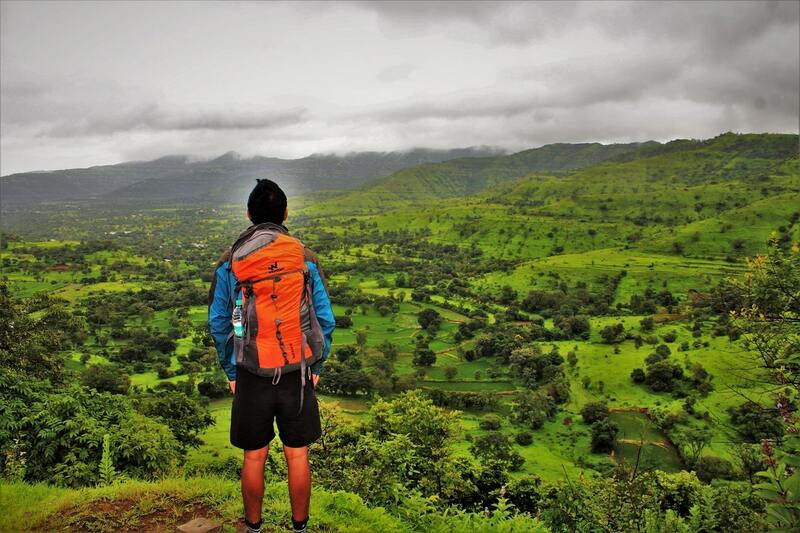 I will rate Purandar Fort trek as a very easy trek and will highly recommend it to the beginners. It generally takes around 30-40 minutes to reach the top from the parking area. Entrance to the Purandar Fort closes by 5 PM. Also, if you wish to trek to the topmost point of the fort, try to reach the base at least by 3 PM. Also, at the entrance, you will be asked to show a valid Government ID proof by the army officer. Entry without valid ID is prohibited. So remember to carry a photo ID card. 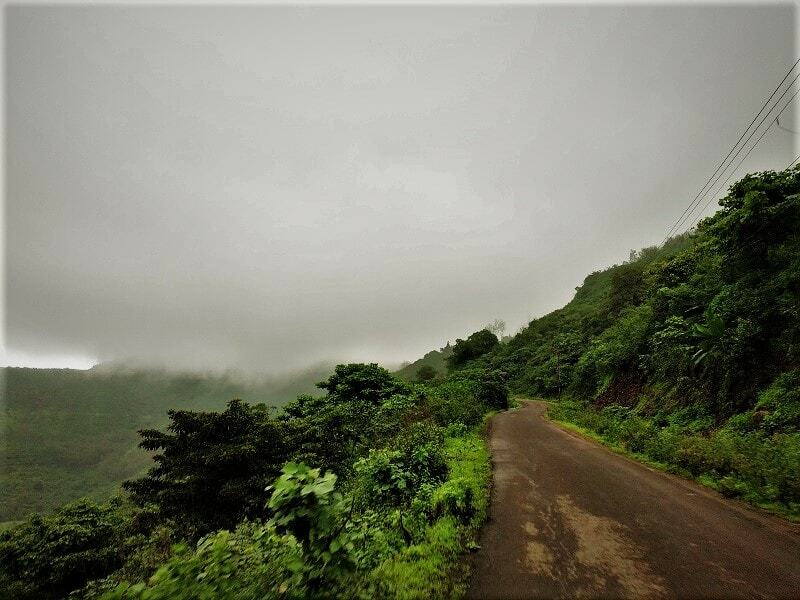 If you type in Purandar Fort on Gmaps, it shows you the route from Kikvi – Ramwadi which isn’t the correct route. 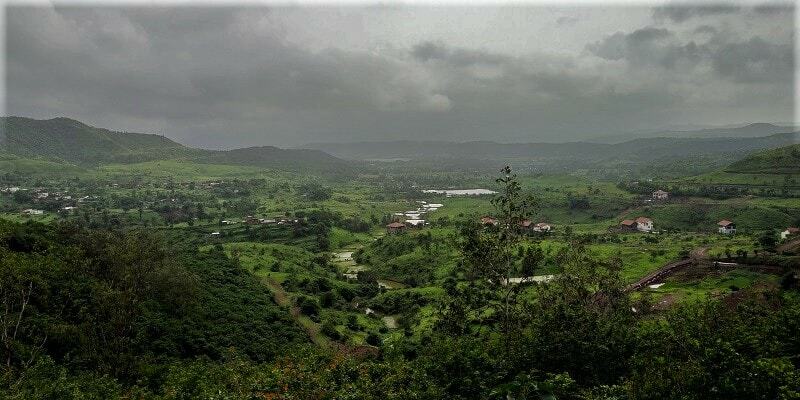 So remember to input Purandar Fort Valleyview point which will take you to the entrance of the fort. 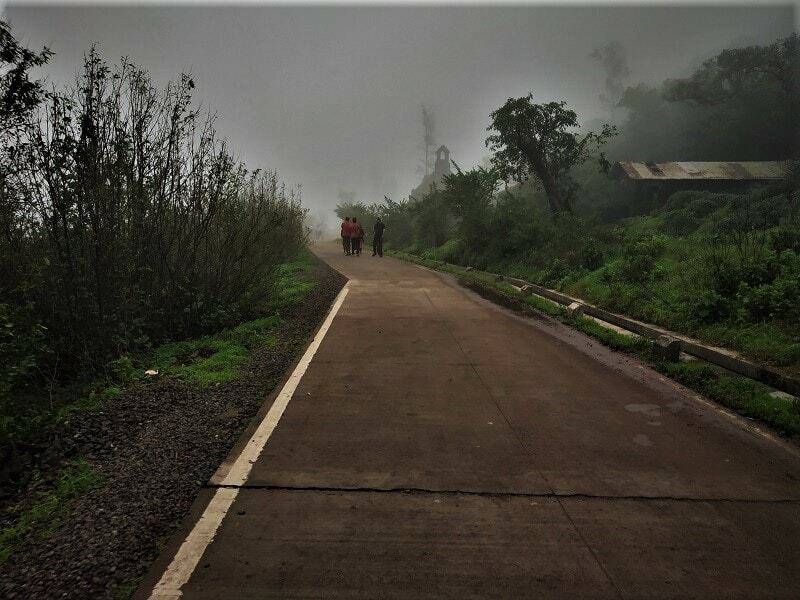 The trek from the base village of Purandar fort is now closed by the army and the only way to reach the fort is by the tar road. 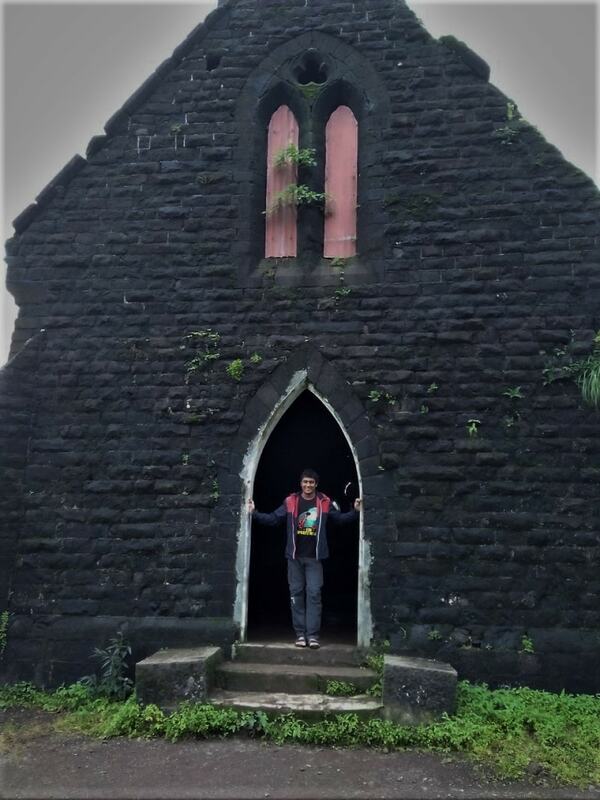 Before I started my journey from Pune, I had no plans to visit the Purandar Fort; I had just planned a Temple trip to Prati Balaji and Khandoba Jejuri. But, whenever I travel to any place, it has been a general practice to zoom in and zoom out on the Gmaps to find all the places of interest that come en-route and try to cover them. While doing so, I came across a location named Purandar Valley viewpoint which was just 15 kms from Prati Balaji and decided to visit the same. 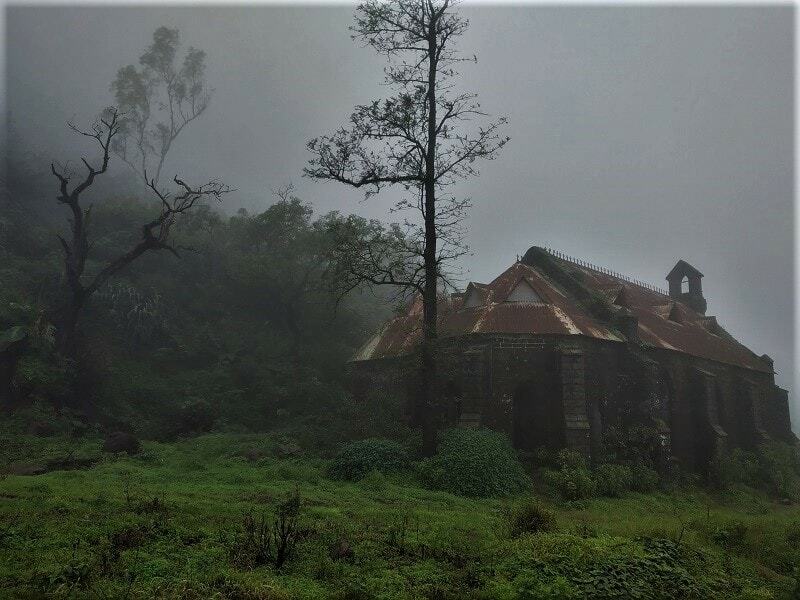 Unlike other popular forts near Pune/Mumbai like Rajmachi, Sinhagad, Tikona, Korigad, Torna, and Rajgad; Purandar fort is quite unheard and there is not much info about the same on the internet. I started from Pune around 9 am and took the Pune Bangalore highway. From Kapurhol, I took a left turn and after driving for another ten minutes or so, I made it to the Prati Balaji temple. The temple is a small scale model of Tirupati Balaji Temple (Andhra Pradesh). The temple is pretty well maintained and the surrounding views are splendid. For more details, check out the Prati Balaji Temple guide. 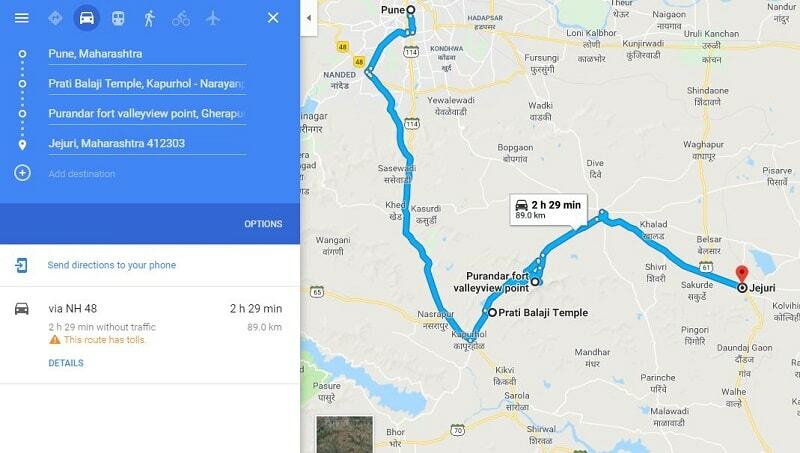 After taking blessings at the temple, I headed for The Purandar valley View point unknowing of the fact that it actually is the route to the main Fort entrance (as Gmaps show different route). The route from the temple to the Fort is completely surrounded by lush green mountains and the view is simply breathtaking. You can take a pit stop at a small dam that is en-route to the fort. The last stretch of tar road that takes you to the fort entrance is a Ghat section with curvy roads. 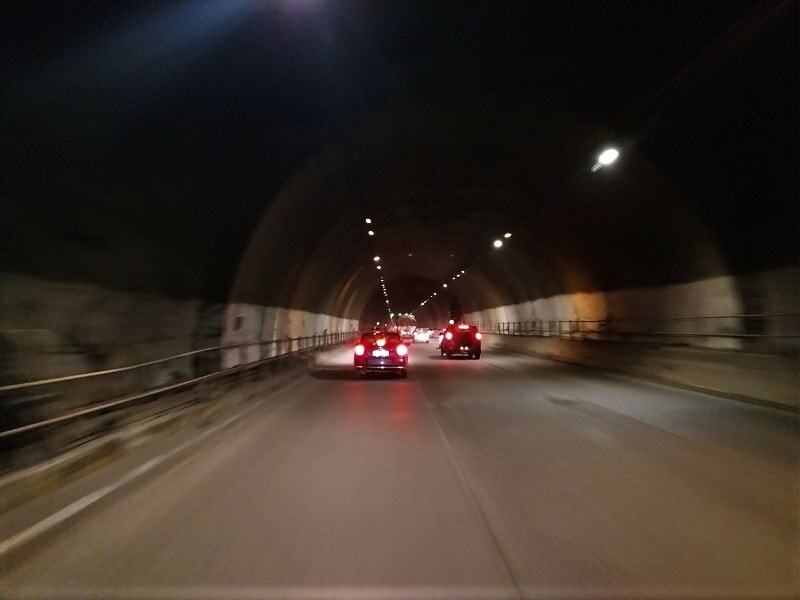 Driving a motorbike here is a moment you will remember for a long time. Also, the view of the surrounding valley from this Ghat section is just outstanding. After a beautiful road journey, I made it to the fort entrance. Unlike other forts, this fort is maintained by Indian Army and one needs to show ID card to enter the fort premises. Walking on the cemented road inside the fort in foggy conditions was giving a feeling that as if I was walking on the Manali roads. The fort has two levels; the lower level is Machi while the upper level is known as Ballekilla. There is also an adjoining fort named Vajragad for which entry has been closed due to a recent landslide. 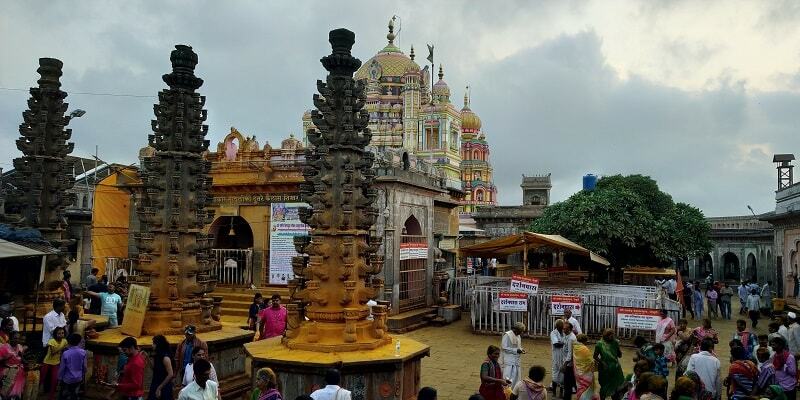 It will take around 30 minutes from the parking area to reach the topmost point of the fort (Kedareshwar Temple). 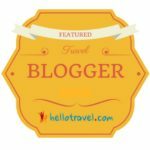 Apart from this, the points of interest for tourists delight are Dilli Darwaja, Bini Darwaja, abandoned bungalows and churches, Purandareshwar temple, Murarbaji Deshpande Statue, bastion and old water tanks. 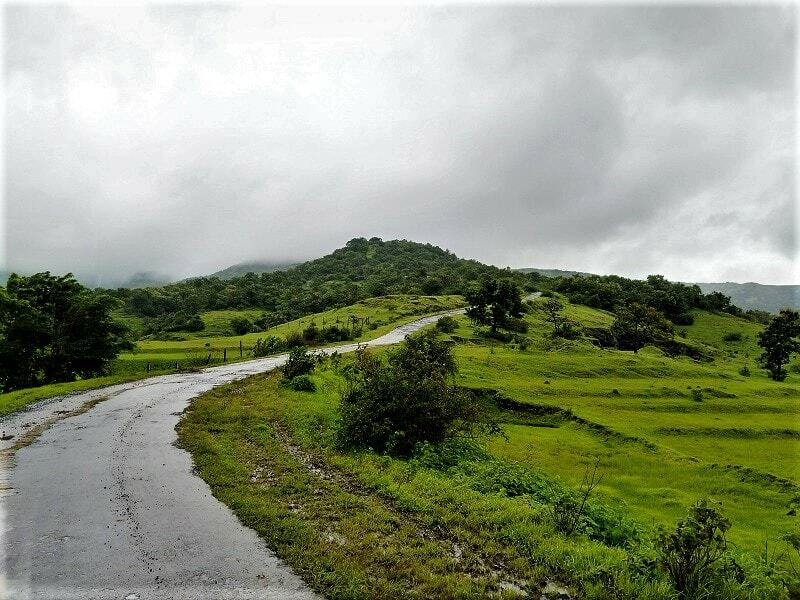 It’s not just about the points of interest that will delight you, it’s the overall surrounding, ambiance, and aroma which will make you fall in love with the Purandar Fort. After exploring the Purandar Fort, I headed for Khandoba Temple located at Jejuri. Lord Khandoba is one of the prominent Gods worshipped in Maharashtra, Karnataka and Andhra Pradesh. It is believed Lord Khandoba fulfills all the desires of His devotees. 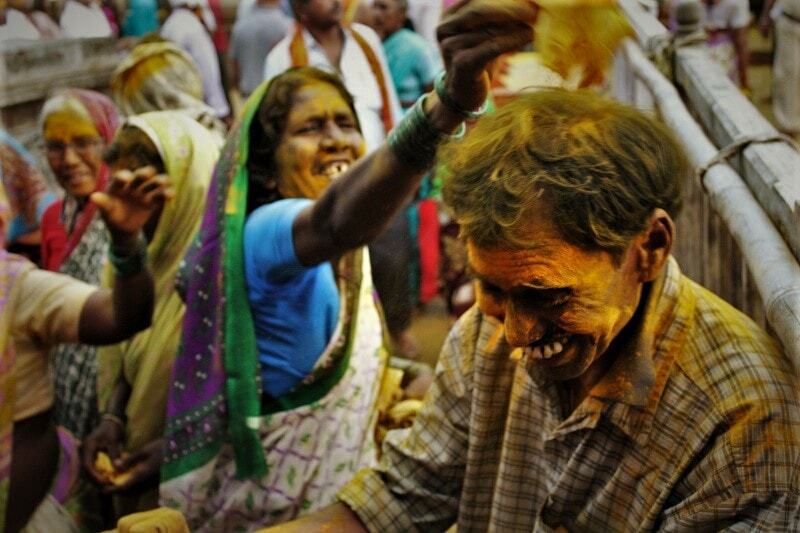 Observing people playing with Turmeric in the entire temple premises is a moment to capture. After spending some good time at the Temple, I decided to drive back to Pune. 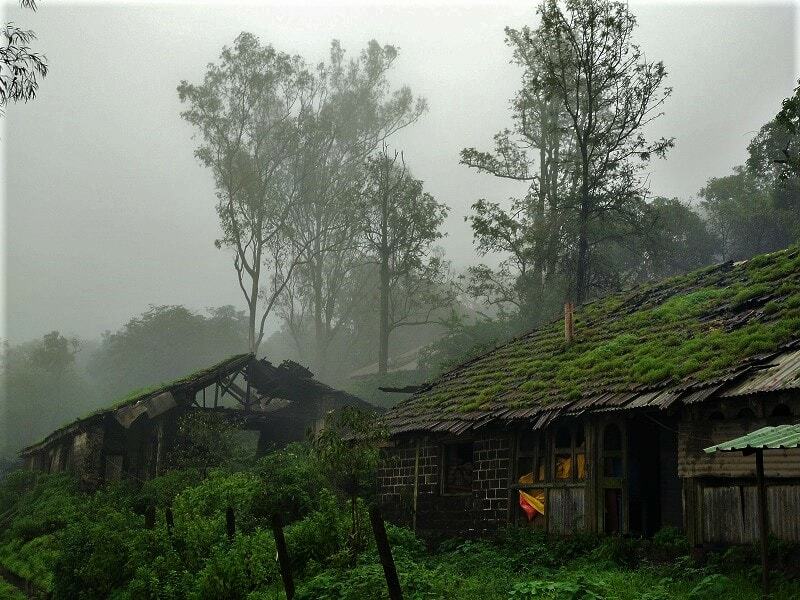 There are no stay options at the Purandar Fort. But you can inquire at the nearby Narayanpur village (6 kms) if you are looking to stay in that region. Also, there is just one small Dhaba at the Purandar Fort where you will get the basic snack options. 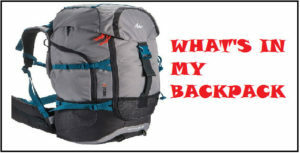 So you should try to carry food along with you. 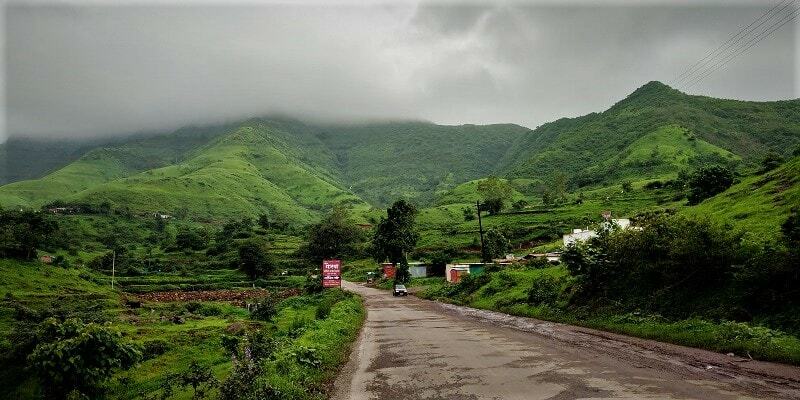 Without a doubt, the rainy season which lasts from July to September is the best time to visit the Purandar Fort as the surroundings are lush green and the weather is very pleasant. 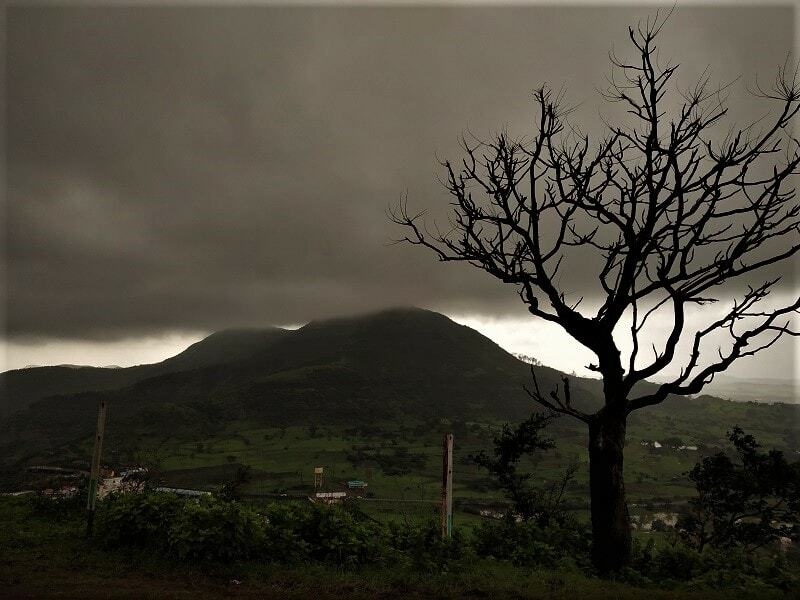 For the most part of the day the surroundings won’t be visible from the fort due to heavy fog and hence October to February will be a perfect time to visit Purandar fort if you looking to have a glimpse of the nearby regions. 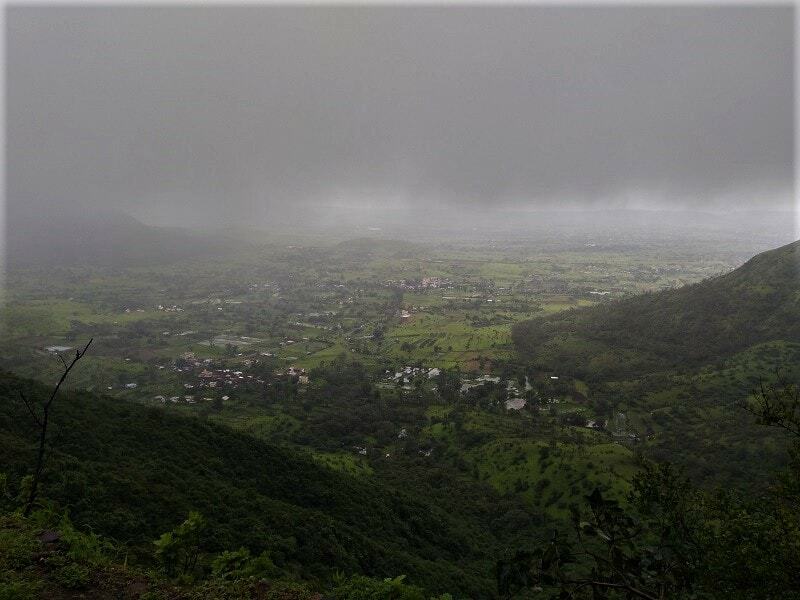 Since there is not much to trek at the Purandar fort, it’s the perfect place to be at for an individual who is looking for a place where he can spend some quality time with his loved ones and don’t wish to trek much!!! So what are you waiting for?? 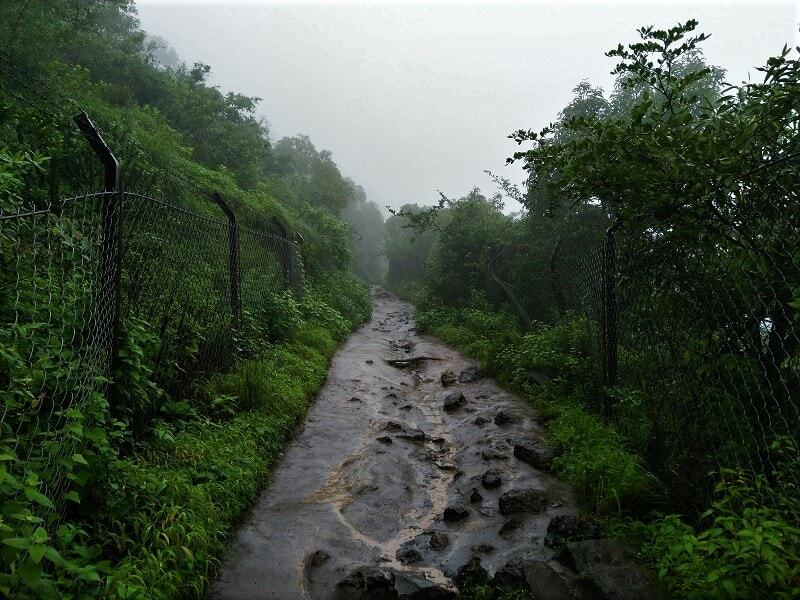 I am planning to trek to the Purandar fort tomorrow morning, is the actual trekking path closed? What is the difference between the tar road you mentioned and the trekking path that had been closed? Does it feel like trekking on the tar road or just trailing,because here I am looking for a proper trek. Completed this today. Looking forward to try rest.